11 August 2015, London – Dialogue Group, the leading provider of A2P SMS traffic monetisation software and services, has today announced the appointment of Jeremy Povey as Chief Financial Officer. Povey joins Dialogue Group as the company enters a third successive year of revenue and profit growth. This appointment follows the announcement last month that Dialogue was named one of the Top 4 global A2P SMS messaging vendors by the world’s Mobile Network Operators (MNOs). With Dialogue anticipating sales growth of over 50% for the coming financial year, Povey plans to ensure that Dialogue has the capacity and capability required to realise these plans in the revenue protection space with the SMART product set. The company’s CEO, Perry Offer, is pleased to welcome Povey to the team and confident he will play a pivotal role in helping Dialogue realise its financial goals. 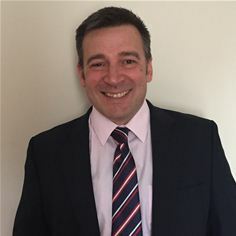 Povey is a qualified Chartered Accountant with 20 years’ experience in financial and commercial roles, primarily within the Telecommunications and IT Sectors. This has included assignments as a consultant and interim manager, taking leading roles on projects as diverse as regulation, strategic analysis and planning and business change. His international experience includes Ireland and Australia as well as the Middle East and Eastern Europe. To arrange an interview with Jeremy Povey or Perry Offer at Dialogue Group, please contact Kirsty Peasley atkirsty.peasley@proactive-pr.com or Kelly Mancaruso at kelly.mancaruso@proactive-pr.com, or call +44 (0) 7899 914168. For more information about Dialogue, please visit the website at www.dialogue.net or follow @dialogue_tweets on Twitter.